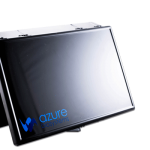 Azure Protein-Free Blot Blocking Buffer is a protein-free blocking solution optimized for fluorescent Western blots. 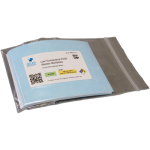 It also serves as an excellent blocking reagent for chemiluminescent Western blotting. 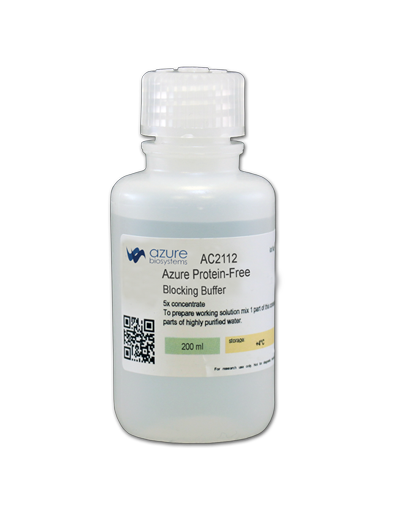 Azure Protein-Free Blot Blocking Buffer can reduce background when used with primary antibodies that have a high degree of cross-reactivity with protein blockers such as BSA, casein or milk protein. 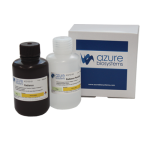 Azure Protein-Free Blot Blocking Buffer can reduce background in Western blots where the primary antibodies tend to cross-react with protein blockers like BSA, casein or milk protein. 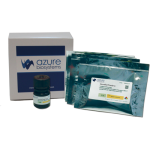 For low-quality primary antibodies that may require protein-based blocking agents, BSA or non-fat dry milk can be dissolved directly in the Azure Protein-Free Blot Blocking Buffer and then used to dilute the antibody.